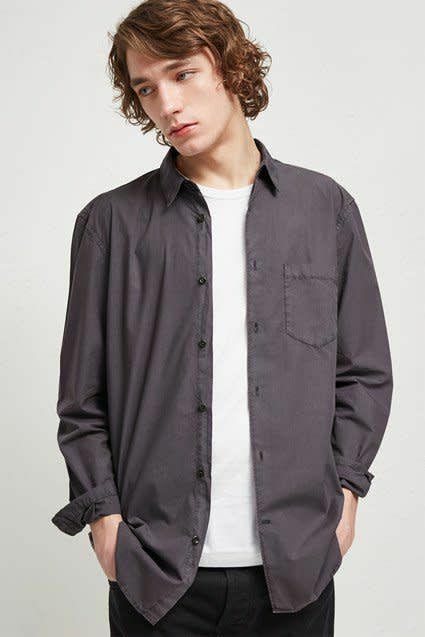 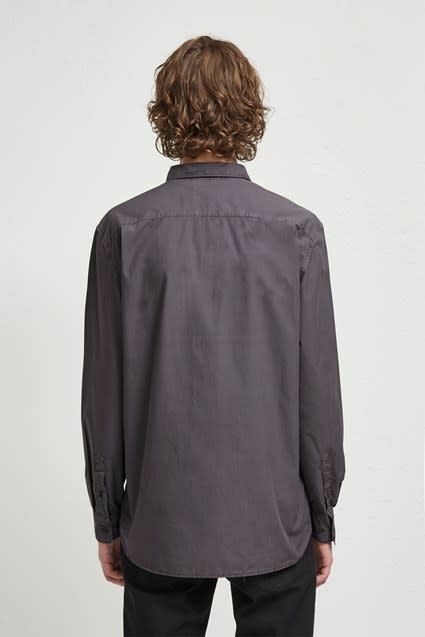 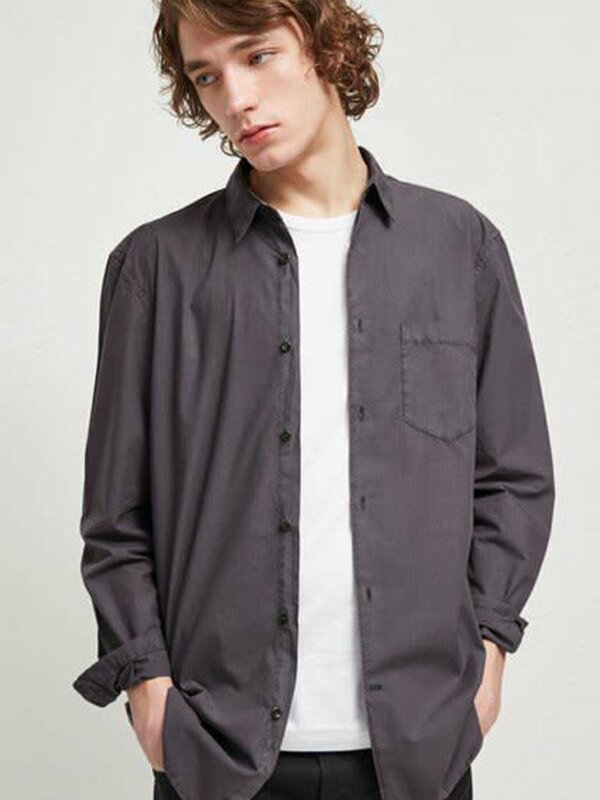 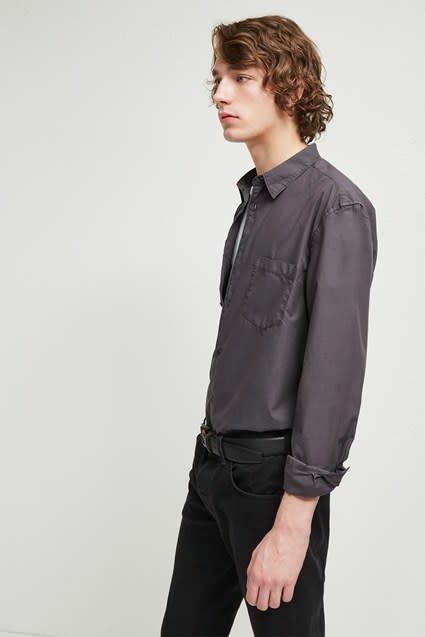 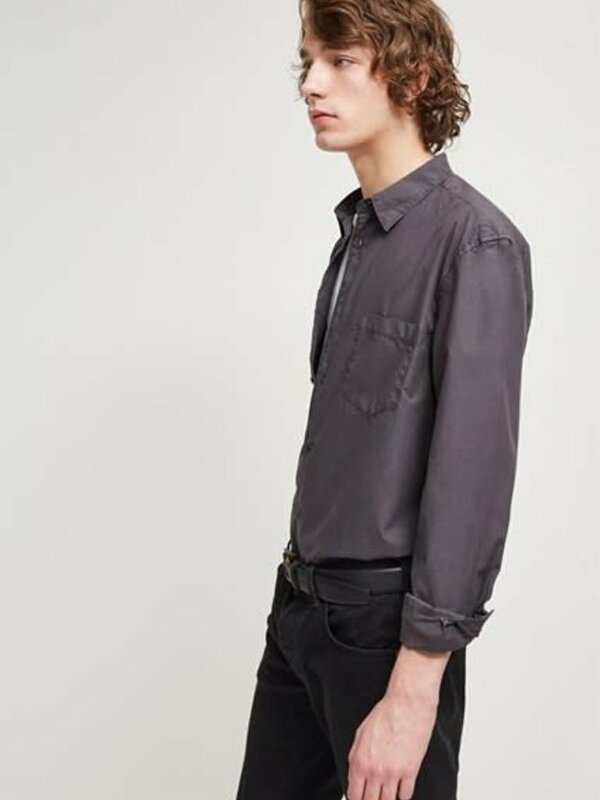 Long-sleeved cotton shirt with classic slim fit, button front and sharp point collar. 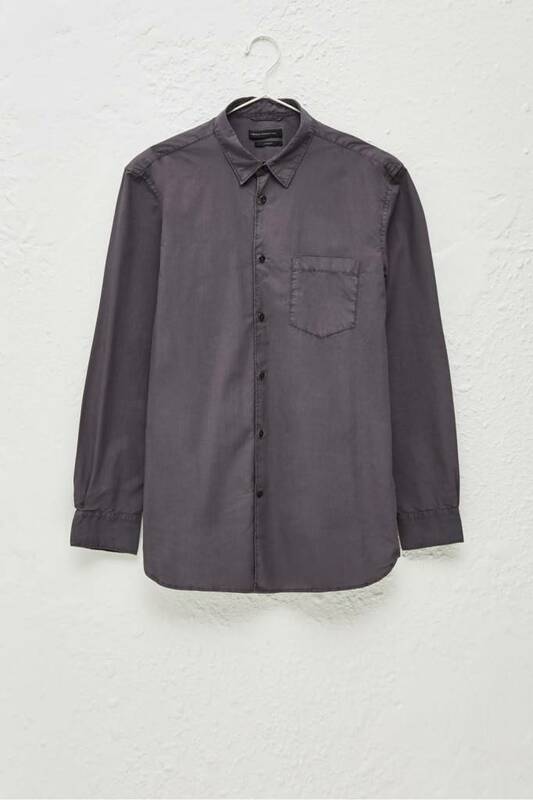 This casual piece features rich color and endless styling possibilities. 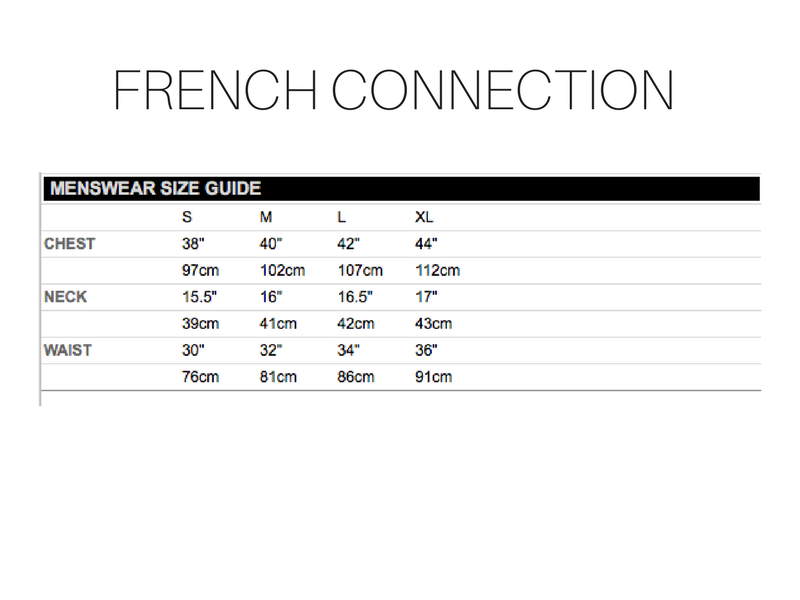 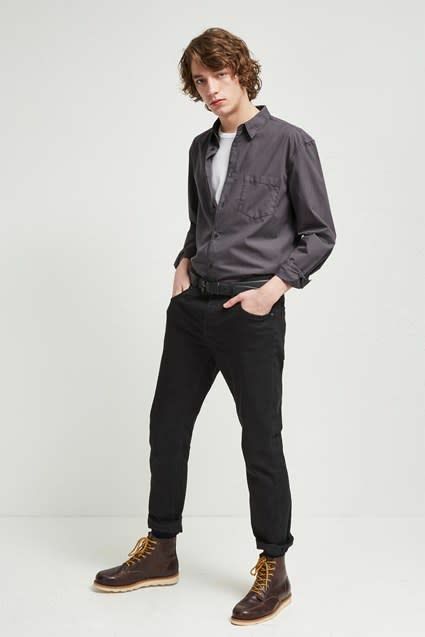 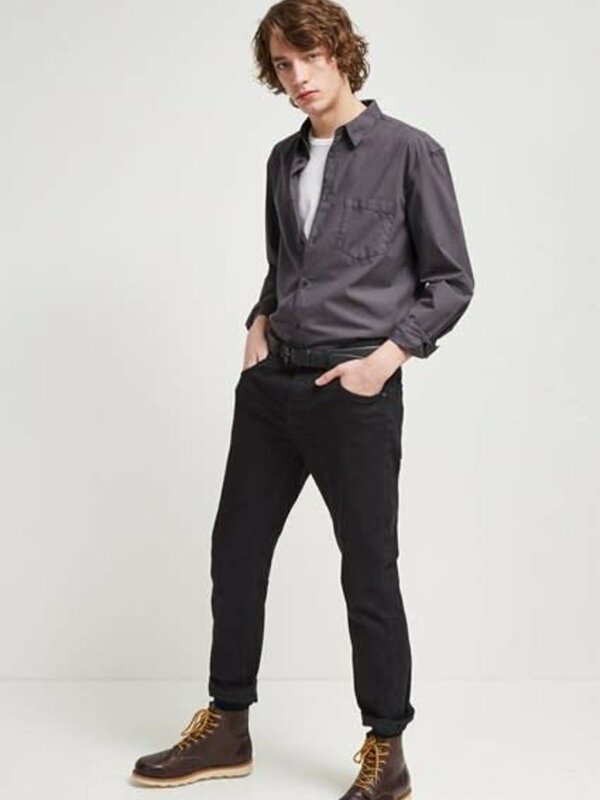 Model is 6'3" and is wearing a medium. 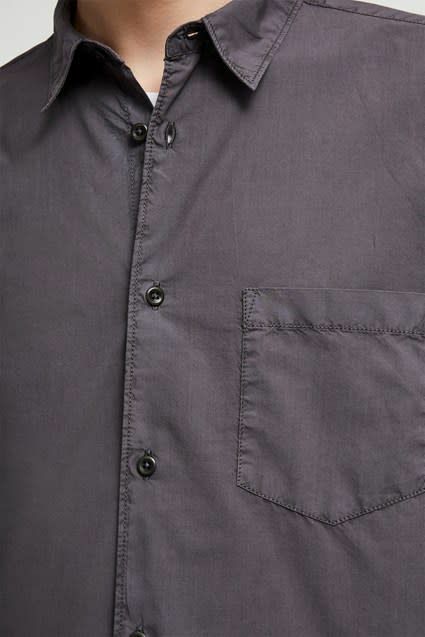 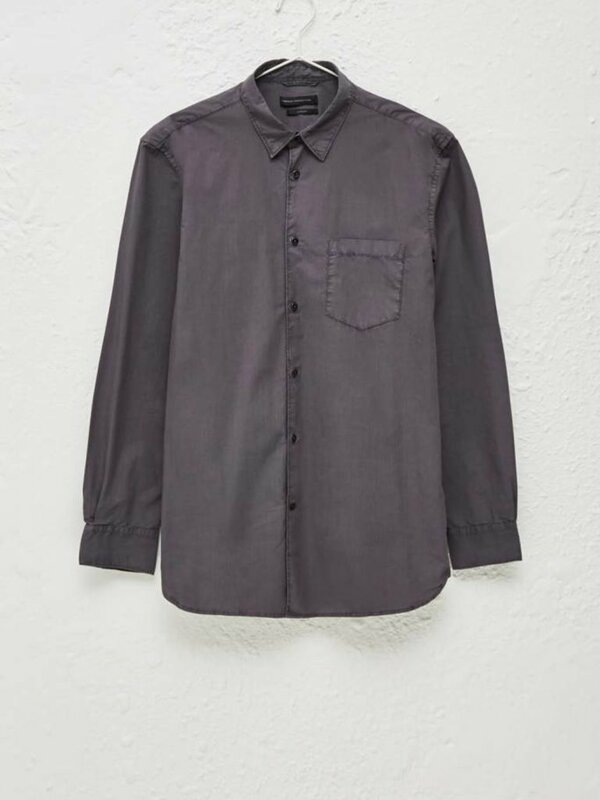 Make this dark grey piece pop with white cuffed chinos or denim + brown oxford shoes. 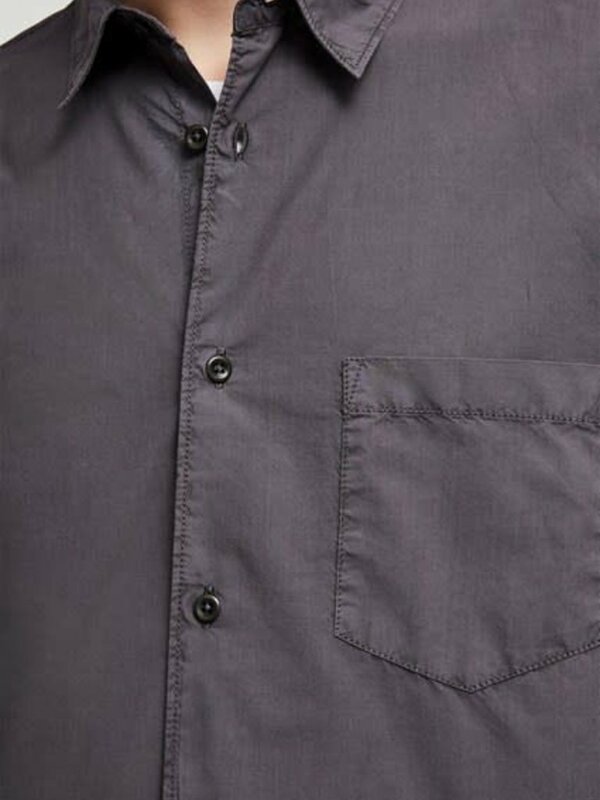 The rich garment dyed fabric looks amazing against denim - so don't be afraid to mix it up with different washes and styles.